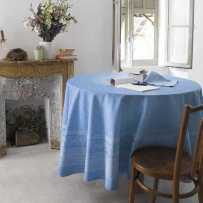 You will have the guarantee of quality with a confection made by a French textile company located in Provence. 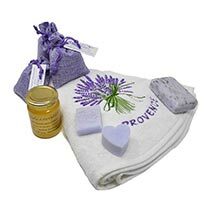 It manufactures the cloth in a cotton very pleasant to the touch reinforced by the weaving honeycomb to make absorbent kitchen towels. 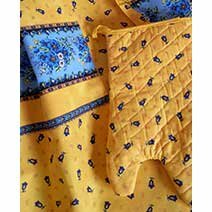 The texture remains soft for the hands while the fabric retains all the moisture in the cells. 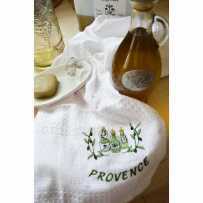 Therefore, you can use it both as hand towel and dish towel. As you get three pieces, you will have enough to rotate and have always a clean towel at hand. 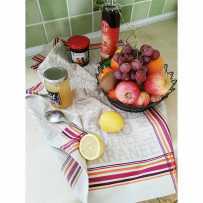 This batch of kitchen towels is dedicated to the Provençal fruit that is so coveted and gives the precious olive oil with a thousand virtues. 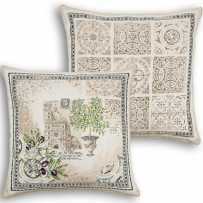 The embroidery represents an olive branch carrying black and green olives that play with light. The fine foliage is in two shades of green, the darkest of which is used for the inscription PROVENCE embroidered under the motif. It's a pretty realistic design that uses the true natural colors of the most popular fruit tree in the world. 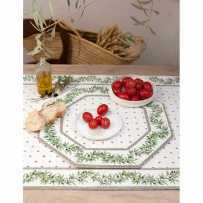 This Olive pattern is also available in terry kitchen towels to hang, also sold in sets of 3. 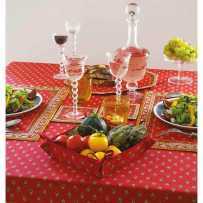 Why not compose your set of Olive decorative hand towels? 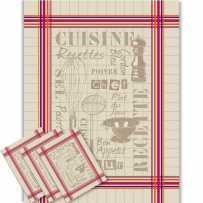 Other patterns are available in our kitchen linens category, with pretty aprons, and other Jacquard weaving cloths of the finest quality. 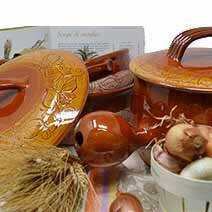 All our items are made in the Provence region and are selected for their durability. 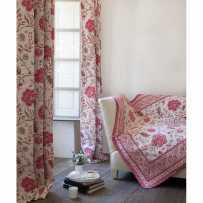 Please, browse our catalog of home linens: you could discover very beautiful tablecloths and decorations for living room.